Once the lockout ends, King James will have more to look forward to than just the new season. 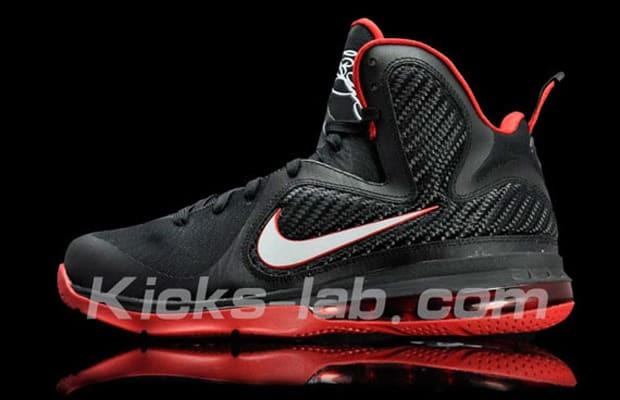 Here we get the first clear look at the upcoming Nike LeBron 9. Designer Jason Petrie picked up where the LeBron 8 PS&apos;s left off — we see a heavy focus on the technical aspect of shoe, both Hyperfuse and Flywire return as well as a slick carbon fiber weave upper for reinforcement. In addition to the carbon fiber weave, Nike also included their patented Nike Combat Pro padding system into the lining, making this sneaker battle-ready. As far as the sole is concerned, a configured 180 Max Air heel was used along with a Zoom Air forefoot and a Cushlon layer and finished off with a herringbone traction pattern. The overall shape remains the same with the exception of a higher ankle support. And even with all these technologies crammed into one shoe, the LeBron 9 still manages to remains relatively light. Now all we have to do is wait for the release date.